Okay, so maybe I’ve taken a few liberties with that quote, but here in Prague, almost everyone will agree: burgers are delicious, and finding a particularly excellent one is like winning the game of thrones and defeating both Voldemort and Sauron all in the same day. 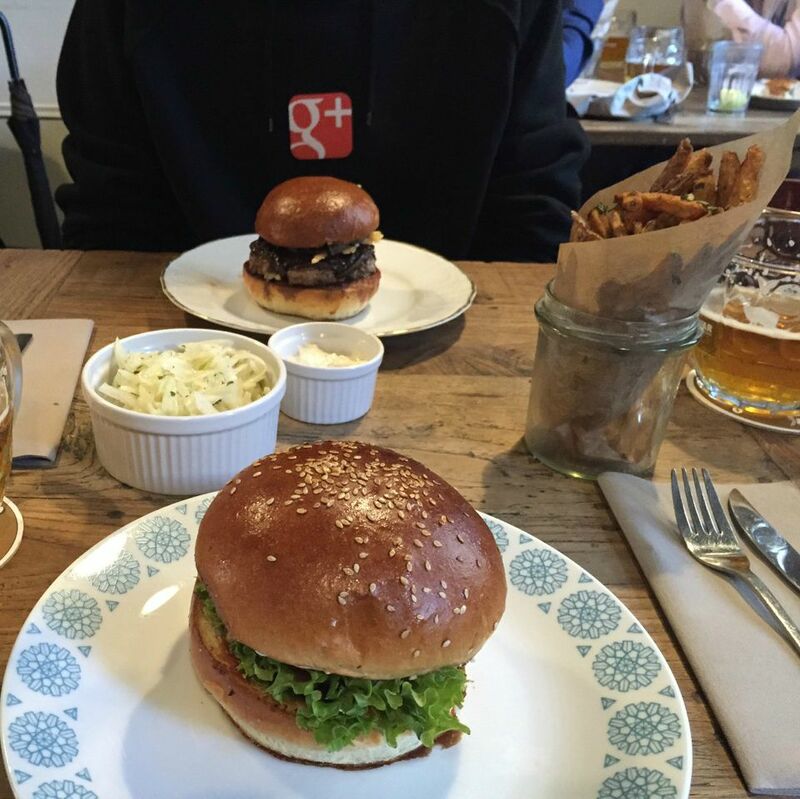 You could say we’re a bit burger-crazy in the Czech capital, and you’d be right. In recent years, burgers have replaced all other beloved and basic foods and have become the marker of a truly tasty place for a bite to eat. A well-executed burger, with its cheesy goodness and versatility, is practically the new Michelin star of Prague (or at least a really glowing TripAdvisor review, if we’re being a bit more realistic). In all this juicy, beefy deliciousness, though, a problem has arisen. 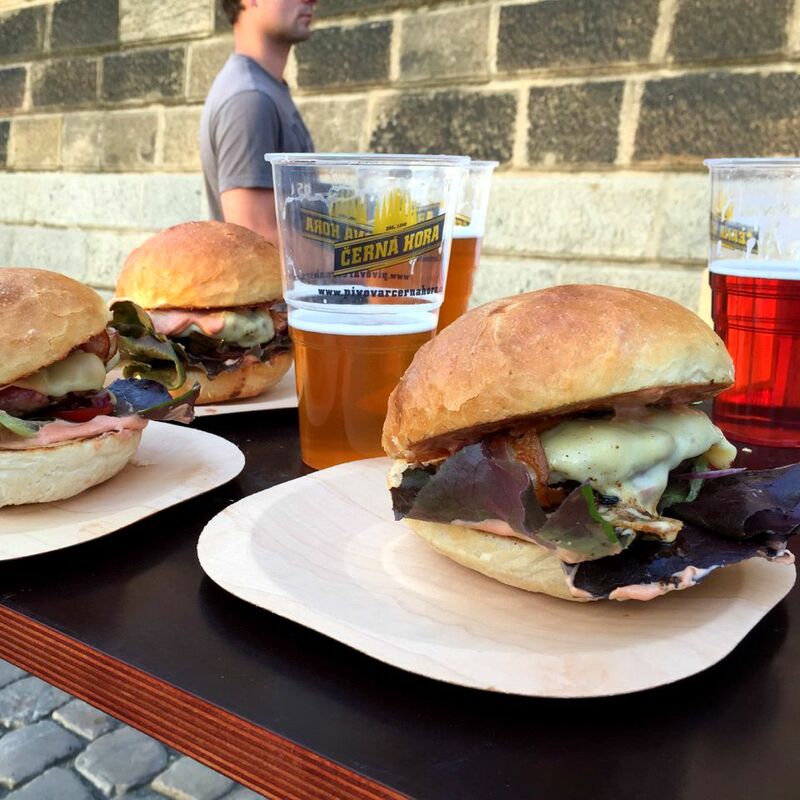 If all of Prague is now striving to add the ever-popular fast food staple to their repertoire of delectable, slow-style restaurant offerings, how will we ever be able to wade through the mediocre patties to find the truly amazing, gourmet gems that define the best burgers in Prague? Well, fear not, my fair travel-loving friends, because we’ve assembled a crack team of burger experts (aka, the writer’s friends), to do the job for you! Below, you’ll find our reviews, impressions, and mouthwatering pictures of seven of Prague’s most-loved burger joints, ranked in order of increasing deliciousness. Be warned though, if you are reading this article on an empty stomach, we recommend you proceed with caution — reviews and images may cause hunger, desire to travel immediately to Prague, and burger hallucinations. The first burger joint that our rag-tag crew of volunteers had the pleasure of reviewing was Peter’s Burger Pub, which is located in the up-and-coming, but well-hidden Prague neighbourhood of Karlín — which, while only a short walk from the edges of both the old and new towns in Prague, is relatively unexplored. The pub is charming, filled with cosy wooden accents and furniture that really gives the feel of being in a very well-preserved older pub. Peter’s gets extra points for having a delicious beer to compliment the vibes, too, serving a brew from the Czech town of Liberec called Konrad. While the slightly too-dense burger patties and soggy style of fries weren’t our group’s personal favourites, at times parts of the meal shined. Admittedly not as crispy as we would have liked, but the fries have an almost addictive quality in their taste and the inventive combinations of gourmet burgers on the menu are impressively tasty overall. The wonderful coleslaw and amazingly helpful and friendly staff make Peter’s Pub our recommendation of burger joint to visit if you are wandering around the neighbourhood, exploring. Our crew ranked it a solid and dependable 2.5/5 stars. You can’t come to the Czech Republic and miss a trip to Pilsen. Here’s your guide to touring and tasting the birthplace of Pilsner Urquell. 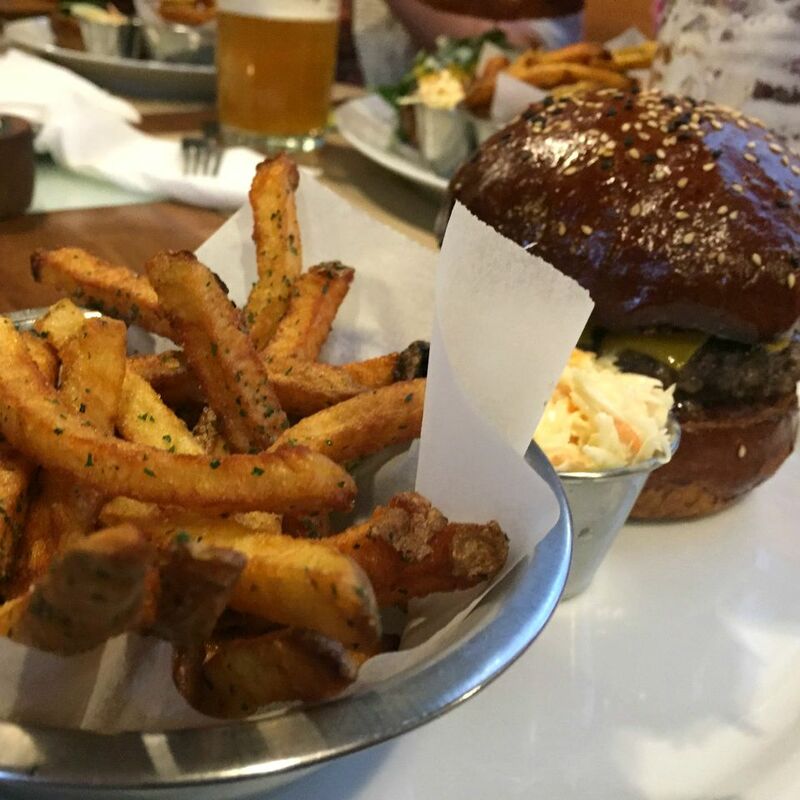 Dish, which has a trendy main location in Prague’s Vinohrady neighbourhood, is a place where you can do no wrong in ordering one of the many burger, fries, and coleslaw combinations. While the pricing may be slightly on the higher end of good burgers, the quality is well worth what you pay, and then some. The buns are moist and fluffy without overwhelming the taste of burger and the toppings and their garlic fries are something that I would consider bringing with me as my one thing on a deserted island. Dish’s coleslaw selection is also a pleasant surprise, as its inventive flavours conspire to steal the show, and would succeed, if their burgers were not so darn delicious. The only critique I could find with this experience was that their homemade ketchup, while commendable, is something more reminiscent of barbeque sauce (although I was in the minority of the burger reviewers who felt this way). Overall, Dish is high quality and delicious, earning it a 3/5 star rating on our list. 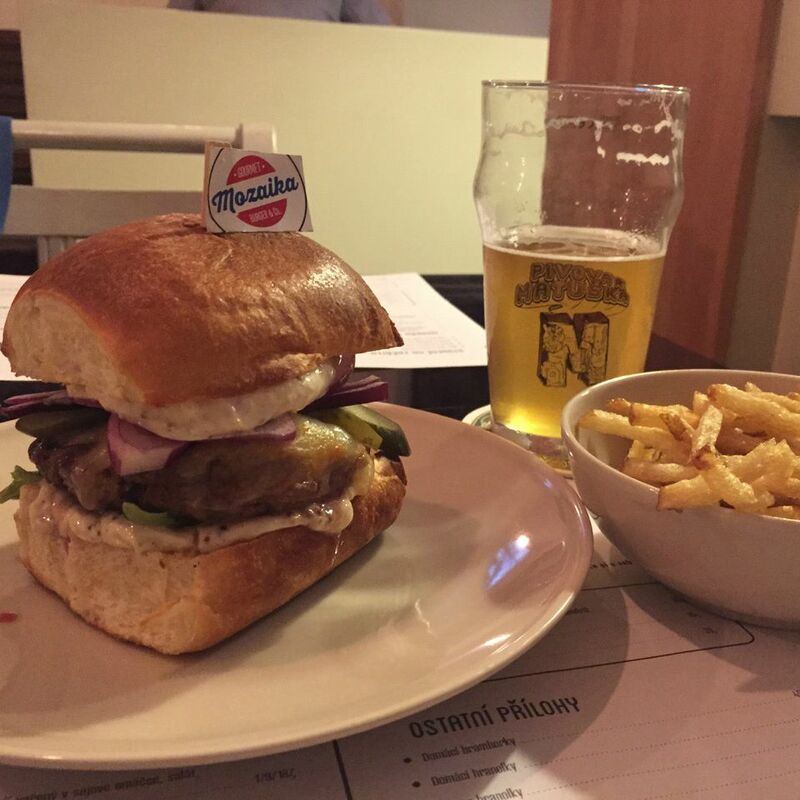 Mozaika Burger & Co. is the second Vinohrady location on our list, proving once again that Vinohrady, with its trendy restaurants and picturesque residential streets, is the place to be for locals and travellers alike who crave a break from the crowds of Old Town. If you’re looking for a delectable gourmet meal to fuel your travel explorations, Mozaika is the place for you. However, we found it to be the priciest of our Prague burger favourites, with a sandwich, fries, and beer ranging around CZK 300 — compared to an average of CZK 220 at other places. We have to admit that in spite of pricing, the food is still enchanting and Mozaika ranks as one of our top choices. Mozaika makes a good burger, but that’s not all that sets it apart. Though it excels at the simple stuff like having great buns and good, quality meat, Mozaika also strives to be different than other places and takes more of a gourmet approach to its burgers and sandwiches. If you’ve ever wondered what cow’s tongue or tvarůžky (a relatively pungent delicacy of a cheese from Czech Republic’s southern town of Olomouc) tastes like on a burger, then Mozaika is the place for you! The answer is delicious, by the way, which is why Mozaika earns itself a spot of honour among Prague’s burger joints, joining the league of burger-y deliciousness with a 3.5/5 star rating. Truly cementing itself as the place to go for great food, Vinohrady contributes to yet another standout burger joint on our list, though Sweet & Pepper Days is more of a charming bistro/café that happens to do a mean burger than a hamburger restaurant. It also has the virtue of a great location, good pricing, a surprisingly large selection for a bistro, and, most importantly, delicious food. I travelled there with a slightly smaller crew than normal, consisting of myself and a friend I was meeting for lunch, and tasting burgers on Sweet & Pepper Day’s outdoor terrace proved to be the one of the best ways to spend a lazy, summer afternoon in the city. Though we had to order our meals inside at the counter since there is no tableside service to speak of (at least outdoors), the staff of Sweet & Pepper Days is incredibly friendly and fast with their serving. This time, we stuck to ordering just drinks and burgers, although the establishment’s truffle oil fries did seem to be calling to us (we’ll just have to try them out another time when we’re hungrier). Branching out from the classics, I selected the brie cheeseburger and my friend, the vegetarian burger option, and I have to say, neither one of us was disappointed. The burgers here are pleasantly juicy and have the taste of being fresh off the grill at a neighbour’s awesome backyard barbecue, which is something I think we can all get behind. The vegetarian burger is made with a mixture of chickpeas and other veggies and instead of being tough or dry (like these options can be at some other meat-heavy establishments), is the perfectly moist and well flavoured. I also have to give a special shout out to the drinks, particularly the selection of homemade lemonades, which are not only delicious, but also perfect for a warm, sunny day. Sweet & Pepper Days is fully deserving of its 3.5/5 star rating. Our third entry isn’t really a burger restaurant so much as a delicious stand located next to my favourite beer stop at one end of Naplavka, a favourite hangout for Prague hipsters and generally any cool people looking to cool off and enjoy the summer sun on a pseudo-boardwalk by the river. This stand is the last in the string of bars and shops closer to Prague Castle than Karlovo Náměstí that are open on Naplavka every day in warmer weather, rather than just on market days. While I don’t know the name, I do know that they make darn good burgers and that the stand next to it has some truly awesome beer from the much-loved Černá Hora brewery in Czech Republic’s Moravian region. What’s special about this place is that the burgers are never the same, depending on the day or week you go, as they change according to ingredient availability and the whims of the cooks. One day, they didn’t even have burgers at all, but a truly tasty chili cheese dog, which ended up hitting the spot just as well as any burger ever could. The burgers, which are almost always CZK 100 apiece, are cooked slowly as you wait and there is almost always a vegetarian option for herbivores (past offerings have been a grilled portobello sandwich or a hummus and pita platter). It’s because of the freshness, variety, and location that this burger stand surpasses our other favourites and lands itself a 4/5 star rating in our books. While there are long debates as to which of Prague’s beer gardens is best to beat the heat, Naplavka has emerged as something just a bit different. If this list proves anything, it’s that the Vinohrady neighbourhood in Prague is a burger mecca and we all must make at least one pilgrimage to this part of Prague. Perhaps the most delicious of their burgers can be found in The Tavern, which is so well-known by locals that there’s no real chance of getting a table on a Friday night unless you happen to have mastered the art of Jedi mind tricks or, like the rest of us earth-dwellers, happen to have had the foresight to call and make a reservation. Bordering the ever-popular Riegrovy Sady park and beer garden, The Tavern is the perfect place to stop in and grab a beer and burger before heading to the hill to watch the sun sink below the sky behind Prague Castle and watch the lights of the city slowly flicker on in the horizon. The Tavern offers a well-furnished menu for all of your burger and barbecue needs, so even if you’re craving some excellent US-style pulled pork or a light-on-carbs “naked” bun-less burger, there’s something for you. The fries are great here, and our team highly recommends the double portion, which while it claims to serve only two, provides enough fries of all varieties (including a great seasoned waffle fry, much to our pleasure and surprise) to feed three to four hungry burger lovers. The burgers are large and done in a classic American diner style, though be warned, these are the burgers your mother warned you about — there’s practically no way to chow down on these without having to resort to at least one napkin and possibly some finger-licking, which, let’s be honest, is the aim of all self-respecting “American” finger foods. 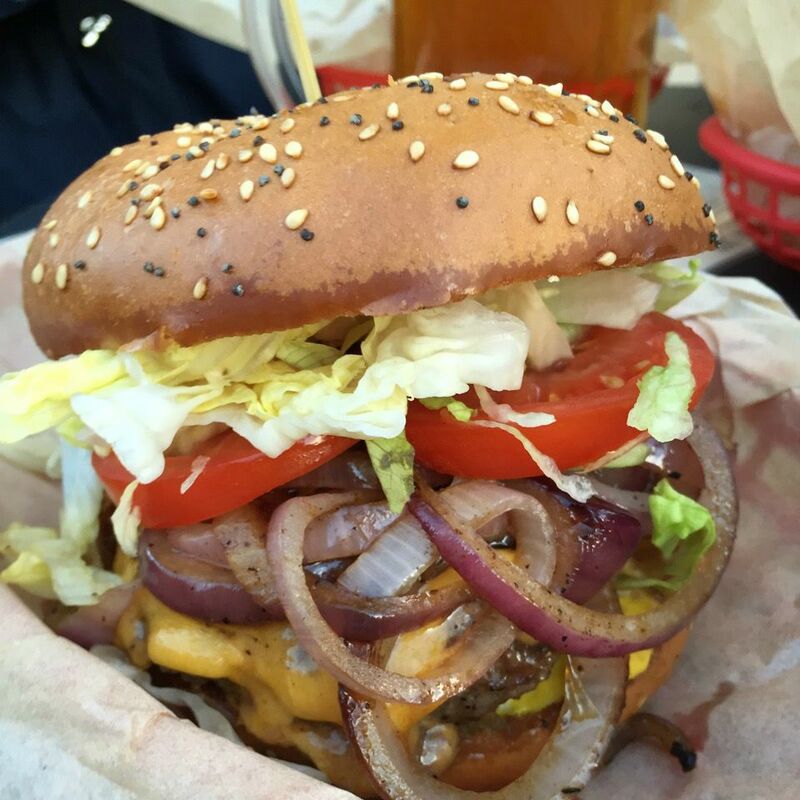 The Tavern is unpretentious and gives you everything you’ve ever wanted and come to expect from a great burger joint, earning a glowing 4.5/5 star review from our burger team. There’s a lot of buzz around New Town’s Café Palanda, and after experiencing what is hailed to be the most popular burger restaurant in the Czech Republic, our Prague Urban Adventures crack team of burger experts unanimously and without any sort of bribery or provocation agreed that it is all well-deserved. In short, Café Palanda is amazing, and coming in at mid-range for burger places price-wise, it’s honestly the best bang for your buck in the city. Furnished in a modern pub motif of warm, wooden hues, this café feels both trendy and homey and, while all of the staff was friendly at every burger restaurant we popped in at, the staff at Palanda go above and beyond the call of duty with their friendliness and recommendations. With great food comes great responsibility, though, and in this case, that means that having a recommendation at Palanda is almost certainly required. Don’t worry, though, as it is 100% worth it, and that’s not even counting the burgers yet. And what burgers they were! Made from only fresh ingredients and topped with homemade buns, which, while darker than those that we’ve come to expect, lend a uniquely smoky taste to the burgers. The meat here is great quality and the flavour combinations are top-notch, including a homemade ketchup that even I, a lover of Heinz over all other ketchups, could get behind. The proportions are perfect and while impressive, the burgers are way less messy to dig into than you’d expect. While we were busy singing praises to the burger gods for gifting us with such perfect specimens of burger-y perfection, we were also pleased to note that Palanda has some delicious fries as well, which come included in the burger meal, along with a tasty mayonnaise dipping sauce. We also have to include a special shout out to Palanda’s nachos, which are cheesy and delicious, making them the perfect starter. When all is said and done, Café Palanda was our favourite burger spot in the entire city, earning it a coveted 5/5 star review from these burger experts. 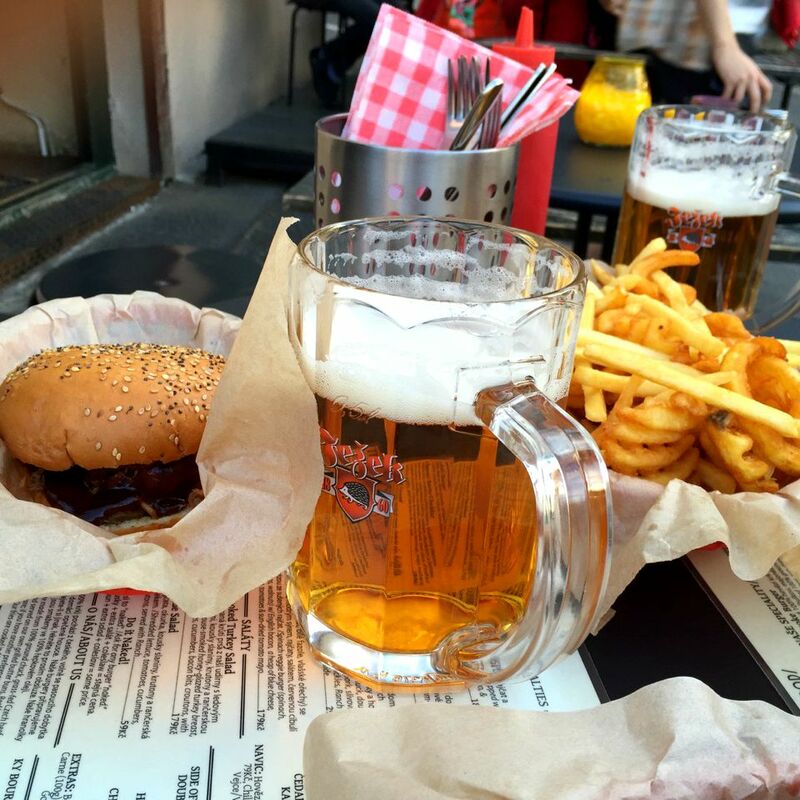 Now that you have the list, go forth, be merry, drink great Czech beer, and enjoy the best burgers Prague has to offer! * I’d like to give a special thanks to the best team of friends and burger experts I’ve ever assembled; Honza, Vlad, Carrie, Lauren, Ria, Eli, and Stacey — I’m sure that if we had to band together to survive a zombie apocalypse, we’d have the best dystopian society of them all (and no, sorry, I did not include your code names…we’re not the Avengers — yet). Hungry for Prague? We know where the locals like to go!